It is really hard to keep rugs clean. Not only are they introduced to dirt and grime when people walk over them with their shoes, but there is always the potential for spills and other issues that affect the longevity of the rug. If you want the rug to stay in your house for a while, you need to make sure that it is cleaned properly. If you simply let the dirt remain on the rug, it will need to be replaced fairly quickly, regardless of how well it is made. All the debris continues to accumulate on the rug, which causes problems for the fibers. We are professionals in the rug cleaning business. No stain is too tough for us; for example, we can handle wine stains, sauce stains and even coffee stains. We can get the smell out of the rug if one of your pets confuses the rug for a bathroom. If something happens to your rug, do not clean it on your own. Instead, take a clean towel and blot the stain. If you use a cleaning product that you have on hand, you are subjecting your rug to strong chemicals that will have a negative impact on the rug fibers. In addition, do not put water on a stain. This only makes the stain bigger and could make the colors in the rug bleed. Your rug will not look the same any more and you may also have issues with the flooring beneath the rug. We can help eliminate stains and restore your rug to its former glory. In addition, during the cleaning process, we make sure that the colors of the rug do not bleed by utilizing methods like color testing. 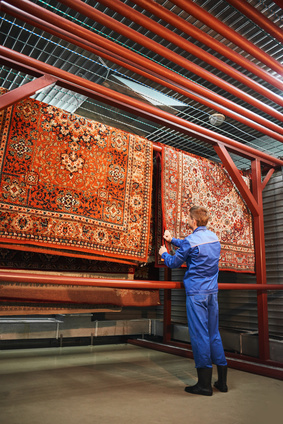 In order to make sure that your rug is like new again, we go through ten different steps during the cleaning process. 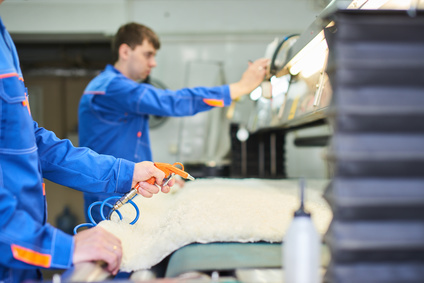 All of our employees are trained to utilize the best cleaning methods, so you can rest assured that your rug is in good hands. In addition, if you have allergies or are concerned about chemicals, we have options available for you as well. In addition to cleaning your rug or carpet, we are also able to fix any damage or restore it if necessary. 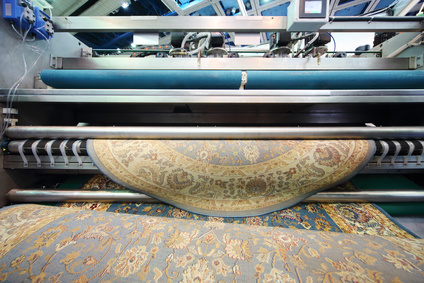 First, we evaluate your rug or carpet to determine what type of cleaning method is required. The process will vary based on whether it is cowhide, silk, wool or sheepskin. We have experience with a variety of rugs, including Persian rugs, Tibetan rugs, Kurdish rugs, Antolian rugs and Chinese rugs. We can help you by cleaning the rug, fixing the rug, storing the rug, removing pet stains or odors, and protecting the rug from moths or other pests. Contact us as soon as possible so we can take a look at your rug at no cost to you. If you want us to work on it, we will come to you to collect the rug, at no additional charge.